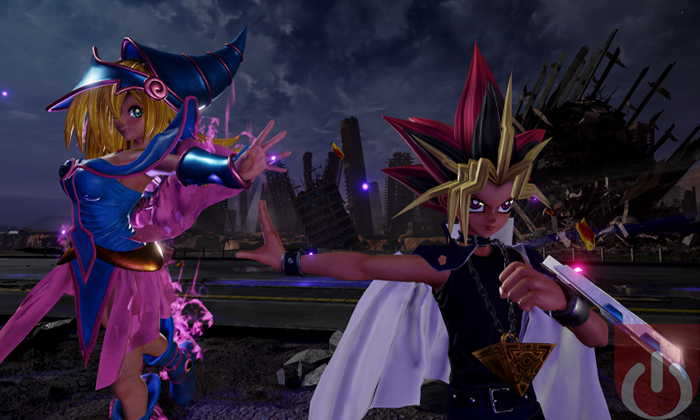 When Yugi Muto was revealed to be a playable character in the coming cross fighter, Jump Force, we were curious how he’d play. The consensus was that he’d play like Ash in Smash Bros., summoning monsters to do his bidding. Apparently, we were right! Yugi Muto (from the popular Yu-Gi-Oh! Series) will summon allies to help him defeat foes. This is an interesting development considering how fast paced the fights can be. It seems that he’ll be able to keep up though; the trailer below shows him quickly summoning characters like Dark Magician in the heat of combat. We also get a glimpse of what could be a super move, with the summoning of Slifer the Sky Dragon. Jump Force will be available February 2019. Feel free to check back here as we continue to cover this title! 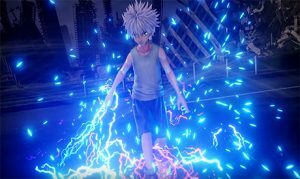 Yusuke, Kirua, Yugi Muto and other popular characters join Jump Force's roster.